Why Golf Clubs Should Value Junior Golf? 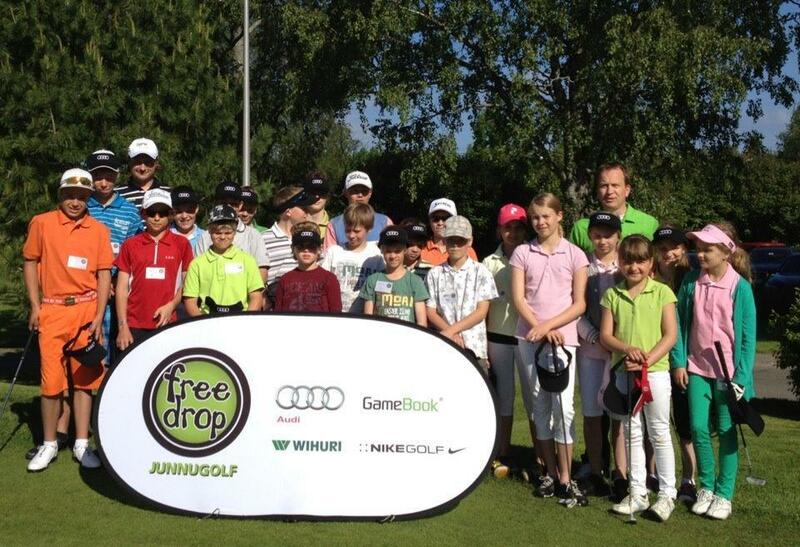 Free Drop Junior Golf 2012 participants. During the last nine years I have spent quite a lot time on the golf courses with junior golfers. An annual series of events, called Free Drop Junior Golf, was born already in 2003, when Kalle Väinölä and I decided to offer young children and teens free golf holidays in several golf courses in Finland. Our goal was simply to organize events where the participants can get as nice memories as we two have from our early days with golf. Another idea behind our Free Drop Junior Golf events was also to demonstrate golf club managers how they could take the idea further and develop regularly activities for the younger generation. As in any sports, it’s important to have active junior teams where both the future stars and the ordinary golf lovers will be found. And as you probably know, we have unfortunately seen some declining stats recently for golf as a hobby. I have had several excellent discussions with the local club management about the new kind of ideas, sharing and collaboration that are needed within the golf scene. The management often sees the problem, but the tools and the shared vision have been missing. Simultaneously with our discussions and ideas, PGA of America have announced earlier this year a special program called Golf 2.0, the main objective being retaining the core players, bringing former players back, and attract new golfers. The theme of Golf 2.0 is Fun, Family and Friends, meaning that we must widen the reach. Simply, to attract more people. Excellent initiative and a very important topic – also a hard challenge. I am trying hard to make a difference, with a little help from my friends and our mobile & social golf app. My colleague Kalle wrote about Golf 2.0 earlier, you might like to read his post as well. All in all, in the Golf 2.0 spirit, many new ideas and means are needed in order to get more people, young and senior, to fall in love with golf! PS. One nice example is a series of event Audi Finland runs in Finland this summer. Audi 24/7 Golf Challenge is designed to be easy to join, fun and social event. Game formats on GameBook, part 3 – Ever heard of these?